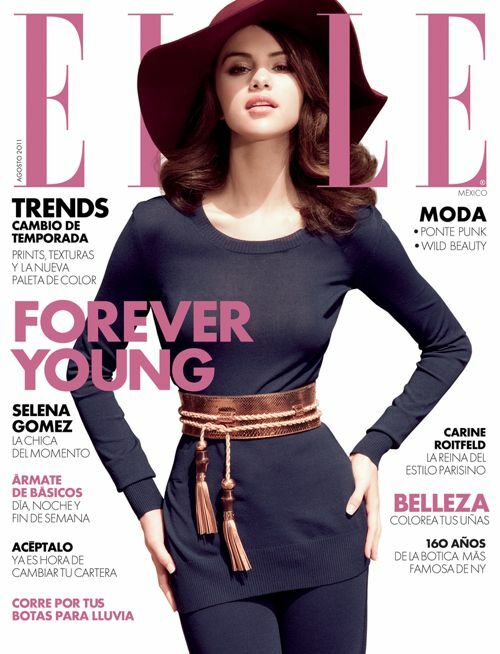 Justin Bieber’s girl, Selena Gomez is the cover girl for the for August 2011 issue of ELLE Mexico. She looks very mature wearing a top and pants by Altuzarra, snakeskin belt by Gucci, and wool hat by Scala Pronto. There have been rumors brewing that Justin is planning to propose to Selena on her birthday…. could it really be true?